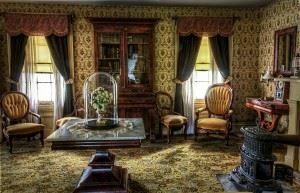 Although most people who come to an estate sale are genuine a looking for some bargains for their own home there are the occasional shady characters that might try and take advantage. If you don’t want someone to go into a particular area of the house, then rope it off and station someone by that door. You should also remove any valuables even your own purse and lock them up in your car for the duration of the sale. It’s a good idea to have a cashbox for the sale and that’s a box that you should carry with you everywhere. Give yourself at least two weeks to advertise your estate sale. There are plenty of online classified sites in Minneapolis that you can use to promote your cell. Craigslist has an entire category for this purpose. If you can add pictures to your ads then even better. Hopefully the end of the day, you will have sold off everything leaving you with an empty house. However, if that’s not the case then you can set up an appointment with Junk King Minneapolis. These are the junk removal pros that will quickly sweep in and clear out all the remaining furniture, appliances and other household goods. The perfect way to end your estate sale is a junk removal session with Junk King Minneapolis. This entry was posted in Minneapolis Junk Removal and tagged estate sale, Junk King, junk removal on September 26, 2017 by Junk King. Last updated September 26, 2017 .